Keynotopia’s Mockup Bundle is available for free download, only catch you have to tweet the page. The Keynotopia Mockup templates include Android, BlackBerry, Facebook, iPad, iPhone, OSX, Web and Win 7 templates. This library is great for turning sketches into wireframes and wirframes into high fidelity prototypes. Although these sketches are made for Apple’s Keynote (all files have Keynote’s .key extension), if your on Windows like me, instead on downloading the bundle you could copy the jpegs you want directly from page for later use in Fireworks (for clickable prototypes), Photoshop (for higher fidelity) or any other tool of your choice. OpenSignalMaps‘ new Infographic reveals accelerating fragmentation for the Android eco-system. OpenSignalMaps (a mobile communication research firm) tapped data from over 700,000 devices to produce a visualization of the state of fragmentation in the Android space. With that many devices, designing apps can be a challenge, do would think? As I’ll argue Android’s fissures are not as bad has it initially seems. Out of the 700,000 sampled there is a staggering 4,000 different devices. This may some like a nightmare for Apple developers who have at the most 7 devices to design an experience for. However, compounding the plethora of devices in the Android’s universe there is nearly 1,400 devices that only appeared once in the 700,000 sampled. But at closer analysis, most of the 4,000 devices do not require special design or development considerations. This brings the number of devices that do need particular design and development attention into a manageable number. Because Android is an open-source platform there is no way to know how end-users will use their phone or apps. 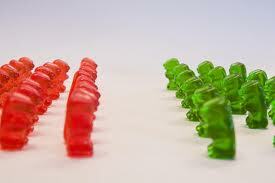 This ambiguity can create opportunities and developors who choose to capture this growing market. Things look even better for Android once HTML 5, CSS 3 and responsive design start getting mainstream, and best practices start to be established and implemented. As Android 4.0 starts to replace older versions Android, the levels of variance in performance and experience between different Android devices should diminish. However, one of the worst and best things about Android- it being open-source, will always have a certain element of fragmentation baked in. Finally I would be remiss if I don’t mention the role carriers play in widening Android’s fragmentation, but that’s a whole another story for another post. May 26th 2012 | The Economist published a very interesting article titled “The roar of the crowd – Crowdsourcing is transforming the science of psychology” that discusses how the psychology community is turning to crowdsoucring for better test sample populations. There is growing evidence that supports results of studies conducted on undergrad student is widely different from the result conducted on more diverse population. Can the same be true for usability testing? Well if you are developing a digital application for say, stock market analysis and your test population was “A” – financial professionals and “B” – global population of mixed professionals, you’d get different results. In this case crowdsourcing user testing would not be that enlightening because you’re developing a product for a very targeted audience. However, if you were developing a product for the general public crowdsourcing user testing does offer some benefits. Although one can argue that user testing for digital devices is another very small targeted market, when compared to the global population, most usability testing does center around human factors. While Elance, arguably the most popular crowdsoucring site, has championed crowdsoucring for the IT community a new scientific crowdsoucring site has emerged called Mechanical Turk from Amazon. With over 500,000 people (40% American) Mechanical Turk is a new source for psychological testing for academia. Whether Mechanical Turk can be a new asset for usability test is not clear yet, but with the benefits that crowdsourcing encompasses it is hard to imagine it wouldn’t find some traction in the usability space. According to Trefis Apple does not need to answer Amazon’s Fire with an iPad mini. Research from Trefis has shown that ” iPad sales post the Kindle Fire launch have emphatically dispelled concerns that the iPad might take a beating unless a smaller iPad is launched.” The margin hits Apple would suffer if it developed and competed with the Fire at the same price-point would be a sharp departure from Apple’s winning 30% margin business model. Apple, principally a hardware company, makes most of its money selling devices. Amazon, on the other hand, uses its Kindle Fire basically like a vending machine for it’s products sold on Amazon.com. These two different models have two very different objectives, and since sales for iPads have not slipped since the Fire’s release its seems to make sense not to compete head-on. Although its hard to say that Apple follows conventional business thinking, looking to the future of mobile its hard to imagine iPads not getting significantly smaller, sooner not later. The shelf life for the iPad in its current gaze seems rather short. Mobile tech is more or less like aiming at a moving target. Without getting to far ahead of ourselves wearable mobile tech is just around the corner ala Google Glasses. What Apple has done so well over the past decade is innovate the perfect design/functionally sweet spot for its loyal niche market. As long as Apple continues to innovate faster and better than then growing competition, it would flourish. No easy task, but Apple’s devoted customer base does afford it some latitude to experiment or fail fast and continue to capture the hearts and minds of its followers. New York, May 22, 2012 – NYC UPA and R/GA put on a very interesting event on how to use Big Data to create deeper engagement and more meaningful user experiences. The presenters Andy Clark, Executive Creative Director and Tye Rattenbury, Director Data Science Strategy discussed the science, strategy and design that goes into inventing new user experiences. The innovative solutions Tye and Andy presented centered around two main concepts: Turning precise data-sets into simple and understandable visual language and turning difficult calculation into easily identifiable symbols and icons. To illustrate how to turn mind-bending analytic data (that quants love) into easily digestible portions, for say, brand managers the team at R/GA created concentric circles with varying gradients that correlate with the data-sets. This new visual affords the user to quickly discern what metric is the most active/volatile, which should yield quicker and hopefully more accurate responses. Shifting to simplifying calculations with symbols and icons, the creative team at R/GA used a mobile phone data usage bill to show how abstract calculations can be boiled-down with symbols and icons. The team utilized app icons to demonstrate data usage by showing which apps use more data than others. If mobile carriers were to adopt a bill structure like to one demonstrated at the event they could stand to save thousands, if not millions, from unnecessary service calls by customers trying to understand their bill. Tye and Andy closed with a discussion on their process and how they aligned the science, strategy and design of their projects. The key here was lots of open discussion from all members of the team, while keeping the client informed about the evolving project and how well it meets the overall business objective. Reinforced the idea that multi-disciplinary team members make synergic solutions possible. 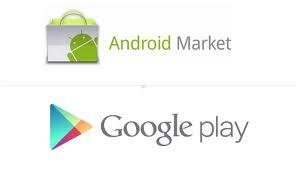 New York, New York- This month, Google consolidated and re-branded its Android Market app with the new Google Play. The new website and app integrates Music, Books, Movies, Games and Android Apps under one virtual roof. Google Play products are accessible from its website/app and can be delivered and shared across any Android device. Google Play’s eco-system of products and service, which includes over 450,000 apps, millions of songs and books, and thousands of movies, have more formally established the battle front between Google and Apple. Android users have the added feature of buying a book (or music, or video, or app, etc…) on their laptop, and read it on the train on their phone or tablet device without any syncing or hassle. All the back-end sharing is done by “the cloud” which Google offers for free. Can Google Play be punching above its weight against iTunes? No really…. Globally there are more Android users than iPhone, but more developers work on iOS, (almost 75% more) its were the money is stupid. Fragmentation has hurt Android, however Android 4.0 (aka Ice Cream Sandwich) is solving that. As more Android 2.x devices are retired and new users join the 4.0 eco-system, fragmentation should be less of a concern. With the 10 billion USD app market growing at 100% per year there is plenty of room for Google and Apple to co-exist in the mobile. And although Apple may have to lion-share now, 25% of 10 billion is no chump-change. For now Google Play is the only serious competitor to Apple, though it does have a long way to go to call itself king of the jungle. I for one, welcome the competition even if it makes things a little on developers and consumers alike. In the end we should all get a better product from the competition. One last word about Microsoft… I once counted them out of the mobile space, because it suffers from bureaucratic paralysis and corporate malfeasance. But I have come around to cheering on the lazy leviathan. The mobile (smartphone/tablet) space is still in its infancy and Microsoft just might make a big splash if it times it right. Need help optimizing your UX? Strategy, Design and Execution - I can help!